Just doing this to encourage some unique ideas and thoughts. This is to perhaps aid people in doing things to take our experimentation and community building further. I've made this post a wiki (that's why it's green) so feel free to update with more info. An example of a use case is bottie. @dade has added support for bottie already but I can think of lots more. Integration with other services on here? Etc. 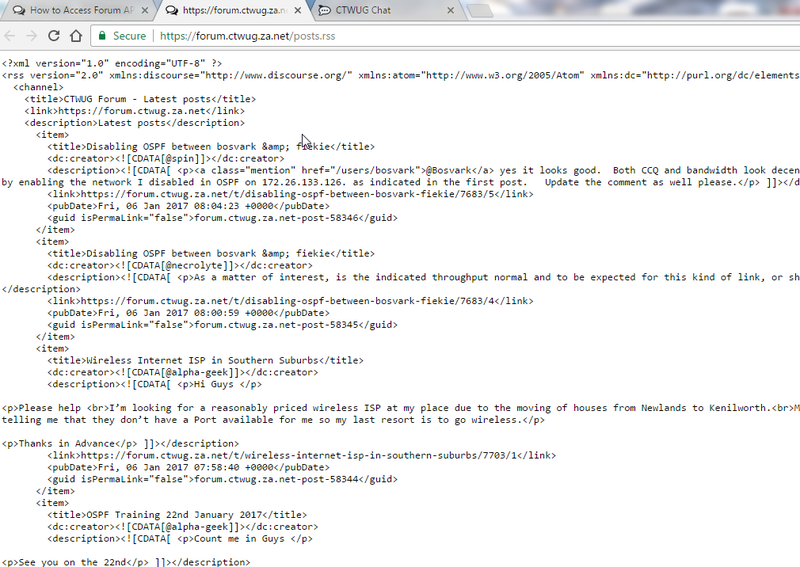 Want to launch a service on the CTWUG and want to link accounts with the forum read the following. I want to integrate the WiND and Wiki in this way eventually. I have tried following your method in your post, but it seems the rss feeds are missing. All I get is Oops! That page doesn't exist or is private, any ideas? 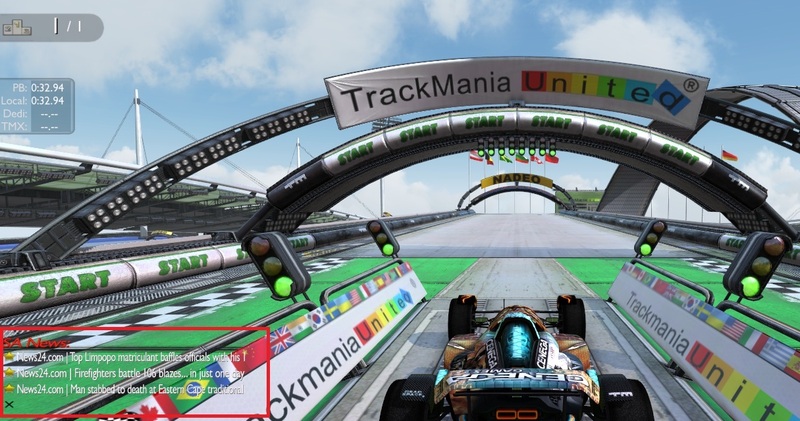 I would like to inject the rss feeds from the wug to the trackmania rss feed plugin , my plugin works perfectly as I did a test run with rss feeds from News24. 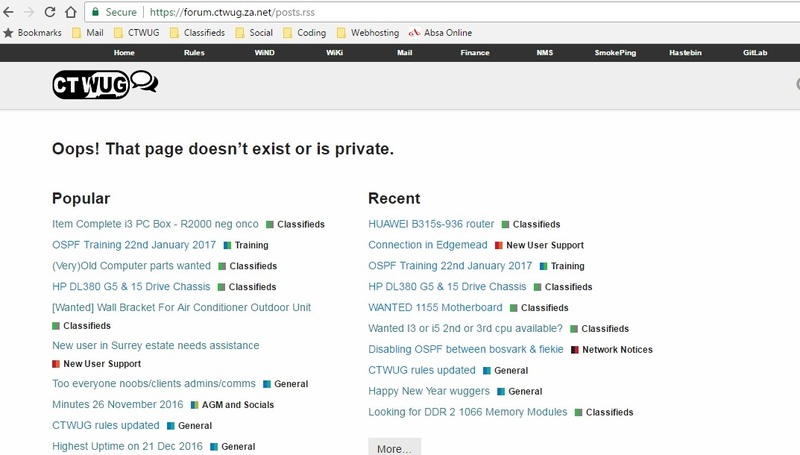 See pic below for ingame plugin for the News24 rss feed, marked with the red block. I moved your post here to add it below the post as someone else may have the same questions down the line. I'd suggest you right click and open in new tab on those links. When you open it directly from the forum I think it confuses the forum software. I added that comment to the first post. Thank will try it when I get home.